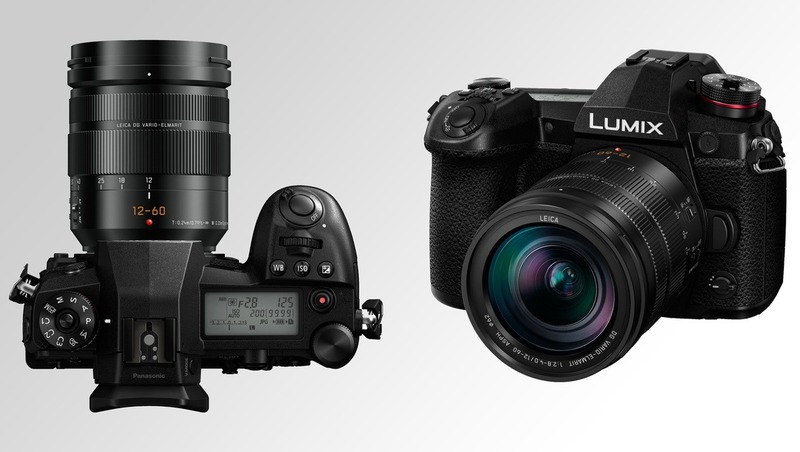 Panasonic have just announced the Panasonic Lumix G9, a high-end Micro Four Thirds camera that is photography focused. Similar in size and spec to the video feature rich GH5, Panasonic describe the G9 as their ultimate stills offering. It uses the same 20.3-megapixel sensor as the GH5 but improves processing using an enhanced Venus Engine processor for improved skin tones, extra detail, and better noise control. Continuous shooting rates now bring it up to speed with the Olympus Micro Four Thirds flagship stills camera, the E-M1 Mark II, with continuous shooting rates of up to 60 fps with AF-S, and 20 fps with AF-C when using the G9's electronic shutter, or 12 fps for AF-S and 9 fps for AF-C using the mechanical shutter. 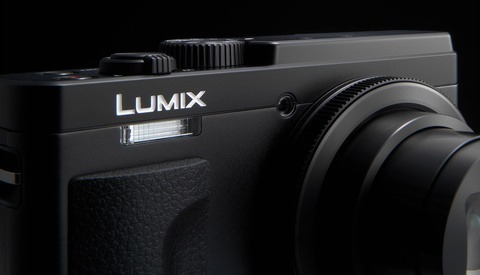 Panasonic claim to get an extra stop out of the 5-axis dual I.S. system than the GH5, from 5.5 stops, to 6.5 stops. The G9 body is splash, dust, and freeze-proof to perform in challenging conditions, and has two SD UHS-II U3 card slots. It still only uses a contrast-based focus system instead of a phase detection system, but claims to beat competitors in tracking subjects using its DFD system, something that we’ll keep a close eye in initial testing. The most significant physical change to the GH5, and every other mirrorless camera on the market, is the LCD status screen on the top of the body. With their recent release of their tethering app, Panasonic genuinely believe they have a camera system that a professional photographer can feel comfortable using in almost all situations. 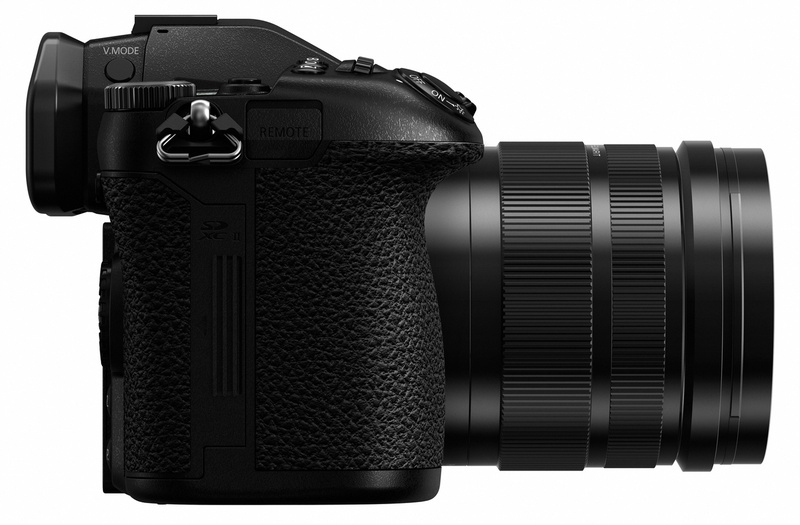 Other new features for a Panasonic camera include a high resolution mode, similar to the one seen in the E-M1 Mark II. using sensor-shift stabilization technology the G9 can use a High Resolution Mode to capture and compile eight separate images to create a single 80-megapixel raw file. The camera needs to stay stationary for this to work. 6K and 4K photo modes also feature in the G9 in Burst and Pre-Burst modes, enabling to extract 8-megapixel stills at a 60 or 30 fps shooting rate, or 18-megapixel stills at a 30 fps shooting rate. It features Wi-Fi connectivity with NFC and Bluetooth 4.2 Low Energy, and the camera can be powered using the USB port. Certain features from the GH5 will not be found in the G9, like internal 400 Mbps 10-bit color depth or V-log, but it still packs an impressive punch. Apart from the GH5, the G9 will be one of the only mirrorless consumer cameras that includes UHD 4K video recording at 60p at 150 Mbps. Full HD can be shot at up to 180 fps, matching the GH5 in this regard. There is a HDMI output included to send an 8-bit 4:2:2 up to 4K 30p. A headphone jack and 3.5mm microphone input is also included, making it an incredibly capable video camera, and trumping the EM-1 Mark II. 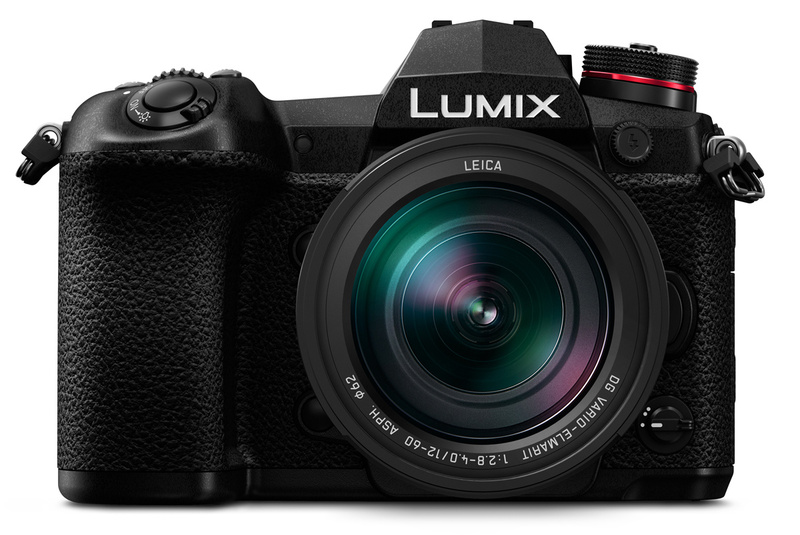 This camera will sit in tandem with the GH5 as Panasonic’s high-end offering, with the GH5 for videographers who want an enabled stills shooter, and the G9 being the opposite. 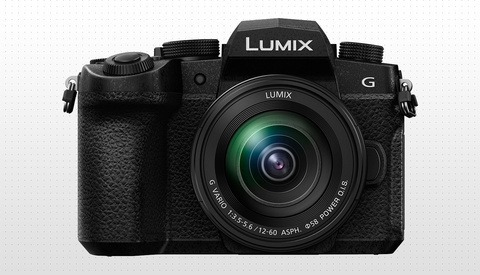 This could also be useful as a B-camera to compliment the GH5, albeit and expensive option when the Lumix G85 is a cheaper alternative for a B-camera. I’ve been shooting with the Olympus OM-D E-M1 Mark II for almost a year, and it is superior stills shooter compared to the GH5. The G9 brings matches almost every feature in the E-M1 Mark II bar phase detection, but improves significantly on video offerings, and undercuts the price by around $100. It’s one of the largest flagship mirrorless cameras, and some will say that surely the point of mirrorless technology is to reduce your camera size. And that $1,697.99 is way too much for a Micro Four Thirds camera. But I’ve been shooting professionally with Micro Four Thirds cameras pretty much since the release of the E-M1, and found the system wholly efficient, and capable for professional stills work. I’m very much looking forward to getting my hands on this and putting it through its paces. If testing proves as impressive as the spec sheet, then unless you’re invested in Olympus lenses, I’m unsure why the E-M1 Mark II would be considered over the G9. If someone is truly concerned about maximizing still image quality, then your suggestion of using a 35mm sensor is just laughable. If maximum image quality is your true concern, then you shoot large format film - period. If you want to skimp, then one of those medium format Phase One 100MP sensors MIGHT be an okay substitute. Maybe. 35mm sensors are so inferior to these other options, for maximum image quality, that to even discuss them in the same paragraph is somewhat ridiculous. Now, if you want "plenty good enough" image quality, in a comparatively tiny camera/lens combination, with a feature set unmatched by anything in a larger sensor format within $3000 of MSRP, then this is a FANTASTIC camera. And any other recent m4/3 would likewise produce "plenty good enough" images. I own several m4/3 cameras, and I own an A7RII. For any purpose short of making very large prints, no one I know can spot the differences between the photos I take with which camera. And even with the very large prints, the only time people can spot the difference is when I tell them to look for it. Your claim that, "I can easily spot the difference between the m4/3 sensor and 35mm" is impossible to prove online. Regardless, I absolutely do not believe you until you do. Now, with a RAW file open in ACR, at 100%+ magnification, I absolutely agree. A trained child could instantly spot the difference. But nobody displays photos at 100%+ magnification on a high resolution computer screen. Spotting the difference in pixel-peeping mode is not at all the same thing as spotting the difference in an actual display format. Especially in a physical print, in anything less than poster size, there's not a chance that you or anyone else is going to spot the difference without cueing. Not even a little chance, on your best day. Once you get into the range of huge prints, then your claim becomes entirely plausible. But not before. With cueing, sure, you might spot the difference. But no one cues the viewer to differences in equipment as part of a typical photography display. That's only done in reviews for measurebators. In any real-world display setting the question is only one of, "does this image meet my criteria for quality and aesthetics?" And if you're even a half-decent photographer, m4/3 equipment is more than sufficient to meet those demands, outside of very special cases. Beyond the image quality issue, you're not going to find anything in full frame that is even ballpark-equivalent to this camera's feature set for less than triple this camera's asking price. In fact, the only cameras that are even close are other flagship m4/3 cameras. So this camera, outside of a very narrow range of display formats, will give "can't tell the difference IQ", with a vastly superior feature set, with much smaller overall weight/size, at a price that is far lower than the full frame competition. In short, it's a fantastic camera, at a very reasonable price, for anyone who doesn't print huge. Being the ultimate stills camera from a specific manufacturer definitionally means having the best stills-oriented features that that specific company provided. It absolutely does not mean equal image quality relative to larger, more expensive sensored (and inferior featured) cameras. Otherwise, we're all back to large format film being the only acceptable standard, as I've said before. You're creating a definition of ultimate stills camera that doesn't make sense contextually. This camera IS the ultimate stills camera frim Panasonic. And if its IQ truly isn't good enough, then you likely require a system that has far better IQ than what a measly 35mm can put out. Because in the larger camera world, m4/3 and 35mm are pretty close together, at the shallow end of the IQ pool. As for your claims, I still call BS, as forcefully as possible. Yes, I also know plenty of photographers who CLAIM they can spot the difference spontaneously. And yet, every time I've seen that claim tested either in person or online, the claimant has failed. Simply put, I don't believe you, and I very much doubt that you've actually subjected yourself to a blind test on the matter. It's infinitely more likely that you've only ever compared the IQ between sensor sizes when the relevant equipment was neatly captioned. As for cropping ability, it's a minor side issue. Shoot with the appropriate focal length and foresight, and it's a nonissue to begin with. 5+ stops of image stabilization? Now there's a truly useful feature that no full frame camera can achieve (sorry Sony, you tried). I keep bringing large format up because it highlights the absurdity of your statement that someone could shoot 35mm at the same price, and no one who values maximum IQ should look at this sensor. Your statement was an absolutely absurd pairing. Maximum IQ and 35mm don't belong in the same discussion. 35mm is just another "good enough" small sensor format, which outside of specific and narrow display settings, is indistinguishable from other small sensor "good enough" formats; withstanding all unsupported claims to the contrary. I'm not the one who started this absurd practice of saying how good is good enough. You did, by dismissing the IQ of this camera as not good enough for people who really care about IQ. And I've been mocking that poor logic since. I'm glad that you're coming around to seeing that your approach was irrational. And I'm totally okay with you valuing cropping. Maybe you could recognize the value of incredible IBIS, and how that can save the IQ of many images. If you want to compare systems using a completely arbitrary set of criteria, while willfully ignoring or including various advantages and disadvantages purely according to your subjective perception of importance, then I'll continue to call out that idiocy. There's not a full frame camera on earth, retailing for anywhere near $1700, that has anything close to this camera's feature set. But all you can yammer on about is a measurable but small-in-application-difference in IQ from otherwise inferior cameras in its price range. When for much less money, you could be shooting on a sensor format that has IQ far better than 35mm. It's a blatant double standard. And if you want to make the dumb move of comparing this Panasonic with an 800 series Nikon, which retails for roughly twice the price and weighs half again as much, and then claim in the same post that you're focused on making an apples-to-apples comparison, then yeah, I'll also continue to point out that idiocy. Like I said, play stupid games - win stupid prizes. But at least one thing's clear, you are winning. Your starting criteria were arbitrary to begin with. That's the part that you can't seem to comprehend. So I threw different but equally valid arbitrary criteria at you to point out that issue. You still don't get it. Still playing stupid games for stupid prizes. How good are large format lenses? Do they resolve as good as modern SLR lenses? In a strict comparison of resolution-per-unit-of-area, I very strongly doubt that large format lenses are anywhere near as good as modern SLR lenses. However, the absolutely massive difference in "sensor" size more than negates any lens advantage from the world of 35mm. On a closely related side note, 35mm lenses also tend to not be as good as m4/3 lenses, on a resolution-per-unit-of-area comparison. That's why Tony Northrup recommends against using larger-format glass adapted to smaller-sensor cameras. The resolution is usually inferior to native m4/3 glass that was designed and built to deal with higher pixel densities. But, as anyone would agree, the size difference between 35mm and m4/3 more than negates that lens advantage in the exact same fashion. The difference is just more difficult to spot than people realize. All it takes is a cursory glance at DXOMark data, and you see that increases in image circle size do not show a commensurate 1:1 increase in lens resolving ability. The data is overwhelming. Relative to the total amount of light that smaller sensor-designed lenses collect, their resolving ability tends to be superior. There is a clear case of diminishing returns for larger image circle lenses and higher resolving ability. None of this is at all hypothetical or apocryphal. The data is right there for anyone to see. Now, you can argue that DXOMark's methods are far from perfect, and I'd agree. But there's no reason to think that their methodology is inherently biased against lenses with larger image circles. And if not, then we have fairly definitive proof that smaller format lenses are designed and built to resolve better, per unit of area. You mean you, who claims he can spot a m4/3 jpeg without any EXIF data, are incapable of seeing the difference between medium format film resolution and 35mm resolution?????? That is a very delicious bit of irony. Because the differences in resolution, unless your equipment and technique were crap (probably not), should have been at least equal to the IQ differences between m4/3 and 35mm digital. It's highly inconsistent for you to be able to see the m4/3-35mm gap, sans cueing, and not be able to spot the resolution gap between 35mm and medium format film, presumably when you were looking for it specifically. My money is on one of your claims being false, and it's probably not your claim about medium firmat film. Okay. So you can't see the difference in MF vs 35mm, using an observation method that makes absolutely zero sense whatsoever to expect to see a difference, and that's what you were sharing. Thanks for sharing. Yeah, I got that. What I don't get is why you were using a method to test for lens quality differences that no well-informed photographer would use to spot differences in lens qualities. Hypothetically, I could tap on lenses with a rubber mallet and listen to the quality of the pinging in order to test for lens quality differences. It's a nonsensical way of doing things, that no reasonable photographer would use. But hey, why not? It's not much different than your method, and has similar chance of detecting meaningful differences in lens quality. Plenty of space. I admittedly didn't get your explanation the first time. The second time I did. 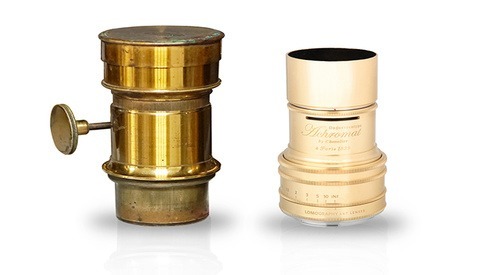 However, your method of comparing lens quality is still silly. You have to take the sensor differences out of the equation to achieve meaningful comparisons (aka - bench testing). Otherwise, you're not comparing lenses. You're comparing systems; which is a fundamentally different proposition. My made-up method was pointless and silly, regarding its intended purpose. So was your real-life method. For sure thought it wouldn't have 4K 60p — it'll be interesting to see if Sony update their a6500 now. "If testing proves as impressive as the spec sheet, then unless you’re invested in Olympus lenses, I’m unsure why the E-M1 Mark II would be considered over the G9." 5. Better IBIS and since the dual is doesn't work with every lens that is a plus. Hope Sony learns a thing or two here, the a6500 is looking a bit weak with the specs in comparison. "..then unless you’re invested in Olympus lenses..."
Probably a problem with my lack of language, but why should one, who has invested in Olympus glass - like me - not considering to upgrade his old OM-D E-M1 to a G9 instead of the E-M1 Mark 2? Why should my Olympus lenses do not work on the G9? !